Established in 2000, in the city Tuscan city of Prato, near Florence, Italy, PENTEK owes its heritage and tradition to its motherland. Prato has been renowned worldwide for its art and expertise in textile dyeing and finishing, hence providing a source of inspiration. By keeping a close contact with the textile market demand and applying a continuous R&D investment strategy, PENTEK has quickly earned itself a position with the leading tycoons of the textile world in just less than two decades of career. For Pakistan market, Pentek is represented by Texsol (Pvt) Ltd. 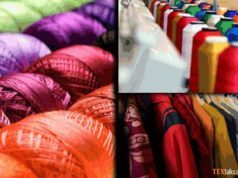 The company offers a complete range of continuous tumbling equipment for the most discerning textile finishing companies, from woven to knitted fabrics up to home and technical textiles. 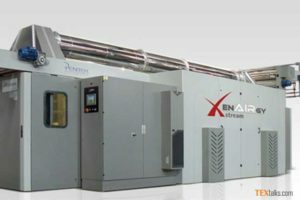 PENTEK introduces us with its ENAIRGY range of continuous tumble dryers in variable open width, a multi-patented technology found around the globe at more than 400 finishing mills. After 12 years from its introduction, ENAIRGY still represents the benchmark technology for achieving perfect fabric softness, bulkiness and hand-feel enhancement. Pentek EnAIRgy: EnAIRgy is a specialty finishing machine for value added goods: it’s the ideal tool for those who mean to improve the product market positioning conferring softness, bulkiness and volume, drapery, shrinkage and changes of look such as: aged look, crinkling, mill wash, lamb-skin look, spongy look, tridimensional effects etc… The range of finishing effects provided by ENAIRGY is comparable to the general range of effects produced by rotary drum tumblers, though in a continues and open width process. Pentek Wanny: Wanny was born as a modular washing unit to rinse and neutralize fabrics after DreamAIR chemical processes. It is a continuous softflow machine which uses the same principles of DreamAIR modular vats with the characteristic back and forth motion through 8 nozzles (4 along the stream and 4 against it). Suitable for both knits and woven, Wanny is the ideal tool for the preparation step, before printing or dyeing. It’s also perfect for removing the residual chemicals or colors before the finishing step. 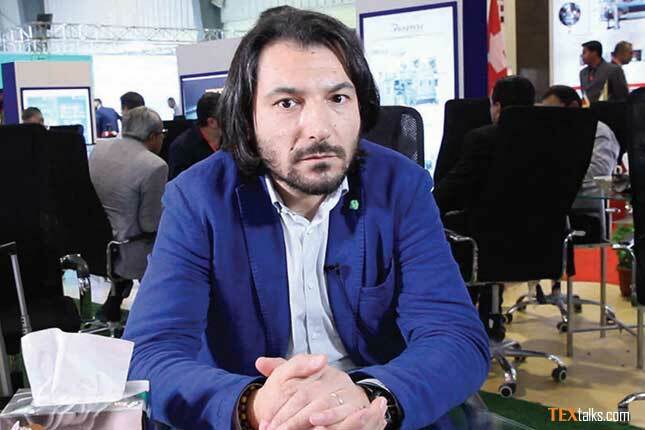 Besides value finishes, according to Mr Andrea Prologo, sustainability for PENTEK carries major significance. PENTEK provides to its customers eco technology with the aim of reducing water and energy consumptions in all the applications. It is one of the main outcome of PENTEK’s strong Research and Development investment. Pentek strong believe, innovative and sustainable technology are parallel to research and development. PENTEK machinery is also very well established in industry 4.0 with several projects in the running. PENTEK started with industry 4.0 in Italy couple of years ago with its first projects and now it is expanding throughout to overseas markets. 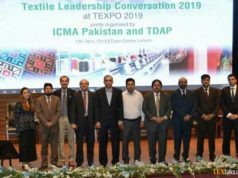 Commenting on the IGATEX 2019 exhibition he informed, “At Igatex we are mostly focusing this time on the continuous bleaching for the knitted fabrics and continuous after print washing for both woven and knitted fabrics.” He added, “In Pakistan we have been successful for the continuous tumbling equipment in both open width and rope form as well as continuous and modular rope form washing range known as Wanny. 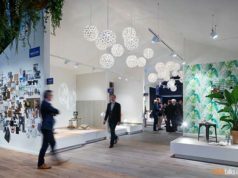 We are introducing this at IGATEX 2019 and it has received a very positive response.” The visitor response he said at Igatex 2019 has been positive and more than expected. Mr Amir Mirza from Texsol said, At Igatex we are mostly focusing this time on the continuous bleaching for the knitted fabrics and continuous after print washing for both woven and knitted fabrics.” He added, “In Pakistan we have been successful for the continuous tumbling equipment in both open width and rope form as well as continuous and modular rope form washing range known as Wanny.